Joe's Seafood, Prime Steak & Stone Crab is the culmination of a partnership between Lettuce Entertain You and Joe's Stone Crab, the legendary seafood restaurant of Miami Beach. Joe's features an extensive selection of seafood, flown in fresh daily, to complement the world's finest Florida Stone Crab claws. Joe's also features signature Prime steaks, hand-carved by master butchers, such as the 24 oz. Bone-In Rib Eye or Bone-in Filet Mignon. Matched with Joe's famous side dishes, dinner only gets better when capped with a slice of key lime pie. Enjoy a cocktail in the bustling lounge or the tuxedo-clad service of the dining room. 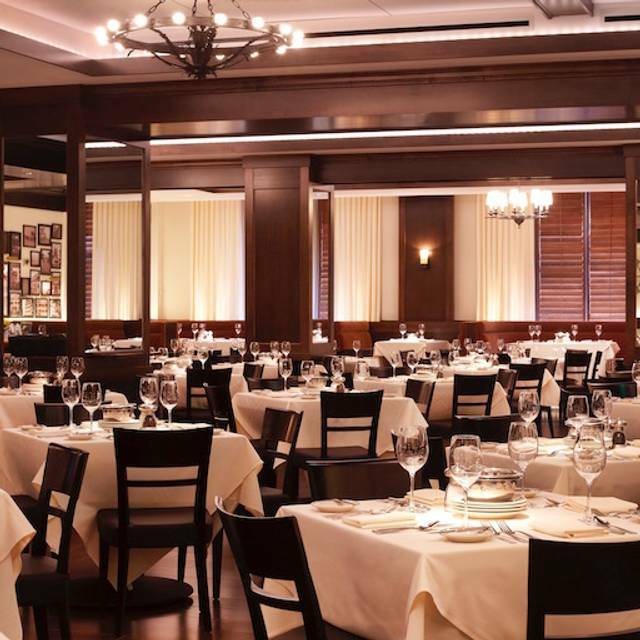 Reserve a table at Joe's Seafood, Prime Steak & Stone Crab - Washington DC in Washington on KAYAK. View information about Joe's Seafood, Prime Steak & Stone Crab - Washington DC to help decide on what to eat. On KAYAK you can also explore 5 photos and 1,663 unbiased real reviews about Joe's Seafood, Prime Steak & Stone Crab - Washington DC.